Starting at the dawn of interstellar travel, progress through four eras of technological advancement. 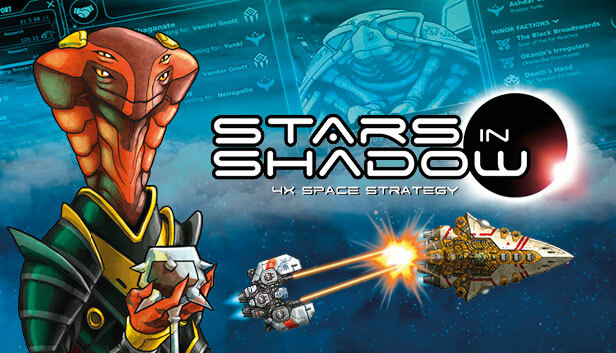 grow your fleet from a squadron of destroyers to an armada of planet-destroying Dread Stars. people, or crush your enemies and see them driven before you. the game moving even when your empire grows large. ability to replay any engagement to see exactly what happened. About: It’s been three thousand years after the Great War and the collapse of the hyperspace lanes. operation. Who restored the warp lanes, and for what purpose? -- or was -- an automated factory built by one of the ancient civilizations of the Golden Age. converted themselves into cyborgs and remade their society as a cybernetic civilization. will take special advantage of several new gameplay features. War, which will continue to be expanded upon in upcoming DLC. AI factions will now accept trades for some resources, provided that a fair offer is made. All factions now receive 1 influence per turn if they have any contact with alien factions. When initially researched, Markets now increase trade capacity by 2 each (up from 0). - added latest full installer + dlc v22151_(041518)_(20061).